Bedtime in our house is story time.. but that doesn’t mean we can’t laugh and enjoy the time we spend together before the kids head to bed and it’s “lights out”. 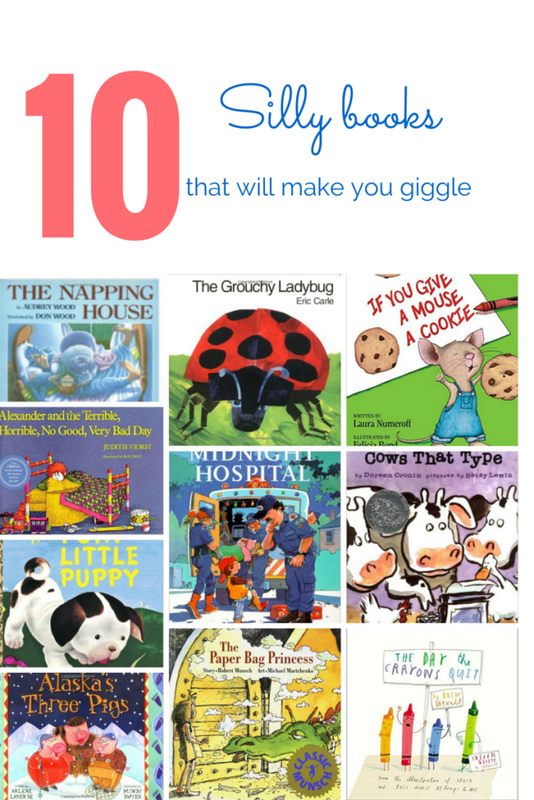 These imaginative, funny, and creative titles are great books that will make you and your kids laugh. 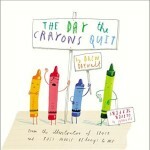 The Day the Crayons Quit ByDrew Daywalt (Author), Oliver Jeffers (Illustrator) Did you know that Crayons have feelings? Poor Duncan just wants to color. But when he opens his box of crayons, he finds only letters, all saying the same thing: His crayons have had enough! They quit! Beige Crayon is tired of playing second fiddle to Brown Crayon. Black wants to be used for more than just outlining. Blue needs a break from coloring all those bodies of water. And Orange and Yellow are no longer speaking—each believes he is the true color of the sun. What can Duncan possibly do to appease all of the crayons and get them back to doing what they do best? 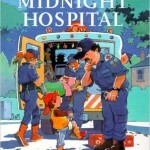 Matthew and the Midnight Hospital by Allen Morgan (Author) Matthew is transported to the midnight hospital where the antics begin with some unorthodox surgery and lead to a full-blown circus complete with a family of flying trapeze squirrels. The Poky Little Puppy by Janette Sebring Lowrey (Author), Gustaf Tenggren (Illustrator) Instead of following his siblings when they all sneak out to play, the Poky Little Puppy lags behind to observe other things. In the beginning, his independence is rewarded. The puppies had all dug a hole underneath the fence to escape from their yard, but only the Poky Little Puppy’s siblings are caught. Only at the end of the book does fate catch up with the Poky Little Puppy. 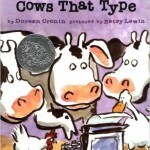 Click Clack Moo Cows that type By:Doreen Cronin (Author) Illustrator Betsey Lewis Farmer Brown has a problem. His cows like to type. All day long he hears Click, clack, MOO. Click, clack, MOO. Clickety, clack, MOO. 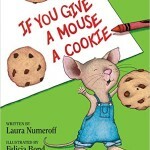 If you give a mouse a cookie by Laura J Numeroff (Author) If a hungry little traveler shows up at your house, you might want to give him a cookie. If you give him a cookie, he’s going to ask for a glass of milk. He’ll want to look in a mirror to make sure he doesn’t have a milk mustache, and then he’ll ask for a pair of scissors to give himself a trim…. The consequences of giving a cookie to this energetic mouse run the young host ragged, but young readers will come away smiling at the antics that tumble like dominoes through the pages of this delightful picture book. 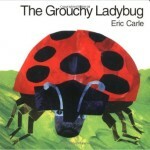 The grouchy ladybug by Eric Carle (Author) The Grouchy Ladybug has delighted readers of all ages with the story of a bad-tempered bug who won’t say “please” or “thank you,” won’t share, and thinks she is bigger and better than anyone else. As children follow the Grouchy Ladybug on her journey, they will learn the important concepts of time, size, and shape, as well as the benefits of friendship and good manners. 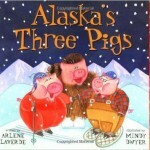 Alaska’s Three Pigs by Arlene Laverde (Author), Mindy Dwyer (Illustrator) The newest addition to the Paws IV line of Alaska children’s books features the classic story of those irresistible little pigs–retold Alaskan-style, as the pigs camp, fish, ski, and build homes on the Last Frontier! This delightful take on the original is full of Alaska details and is sure to charm readers of all ages. 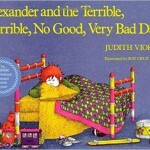 Have you read any of these great silly stories? Did your family’s favourite Silly book make our list? What Silly books are your family’s favourites? I remember those days of story time with the boys when they were little. If you give a mouse a cookie was pretty good! The poky little puppy is my favorite. The Day the Crayons Quit looks pretty funny as well. I loved Pokey Little Puppy when I was young. Love all of these books! 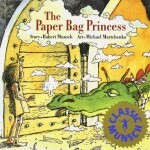 I think I will have to pull out the Paper Bag Princess and give it a read! My kids are grown now but I see some of our old favorites on this list. The Napping House always elicited a laugh from my kids- as did King Bidgood in the Bathtub (I think that’s the name) also by Audrey Wood. Great list! I am saving this list for the next time I need to buy a child’s gift. I always love giving books and these sound perfect. Books are always a great gift! I love to read and want to make sure that my little ones grow up loving to read as well. The Poky Little Puppy was one of my favorites as a child! I’ll have to check out Alaska’s Three Pigs, I’ve never heard of that one before. Great books! We love the If you give a mouse a cookie book and the others like it. So fun to read to the kiddos! If You Give A Mouse A Cookie is my sons favorite! We even have the little mouse! if you give a mouse a cookie is my sons favorite! we have the little mouse too! We are always looking for new books. We all like the silly ones. I’ve read quite a few of those and they are a blast. The silly cows in Click Clack Moo always bring a smile to my face with their requests. Great list! We own a few of those on your list. Going to get some of the others for my daughter. I think she might really enjoy them! 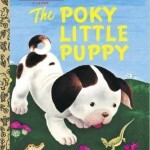 The poky little puppy is my all time most favorite little book from when I was a kid. I have to dig that out now. The Poky Little Puppy is my favorite children’s book of all time. Cute list. What great reading selections! My daughter love fairy tales at the moment. These looks like really fun books. I always like collecting books like these to save for grandkids. These all seem really cute and silly. I bet the kids really enjoy these. I love some of these, and have not heard of several of them! The Pokey Little Puppy is such a classic. I remember reading it as a kid and my sister got it for my daughter when she was born. 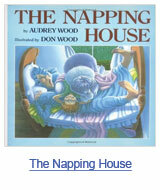 The Napping House is another favorite of mine, too. Great selections! I’ve read some of these to my nieces and nephews. Although I’ve not seen The Day the Crayons Quit before – that one sounds like a lot of fun. I love all these books. Reminds me of my childhod/ some anyway and I enjoy reading to my kids now. yep I’ve read all these and have them on my book shelf still. I love a good kids cook and the Napping House is too cute. The Poky Little Puppy was one of MY favorite childhood books. I loved it. Mine too! I actually have the copy that my mom picked up for us when we were kids. I normally buy a smaller copy and give it as a shower gift I love it that much!